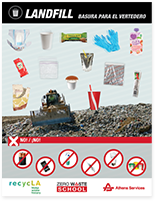 Proper signage is essential to increase waste diversion. 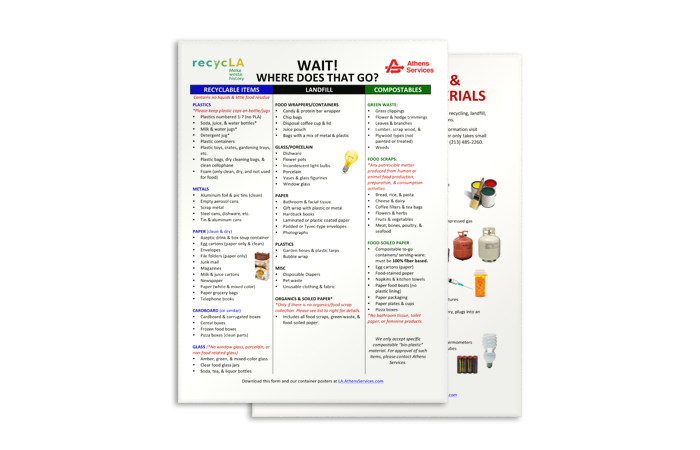 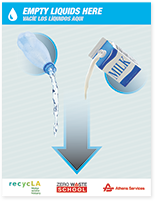 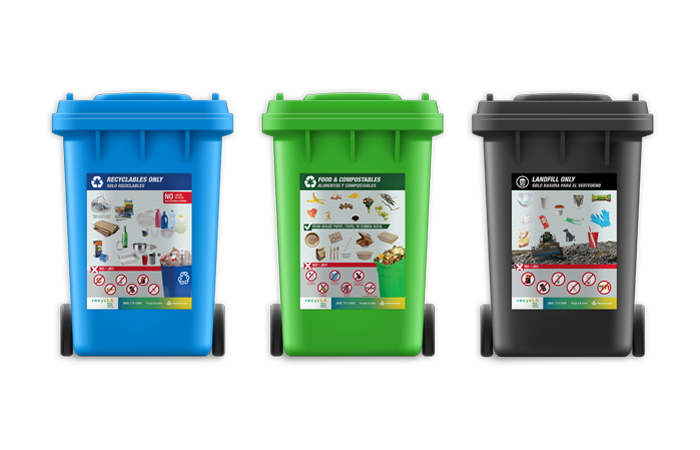 These posters are designed to help businesses, customers, and multifamily residents sort their recycling, organics, and landfill material accurately. 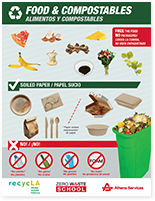 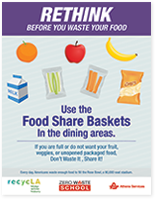 To ensure participation, be sure to print and place signage on all your corresponding waste containers. 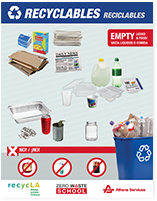 Athens has created school specific signage and resources. 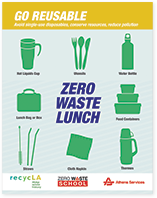 For more information on Athens Zero Waste Schools Program, please contact your Athens representative. 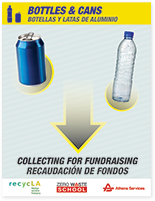 For collection and/or drop off options please click here. 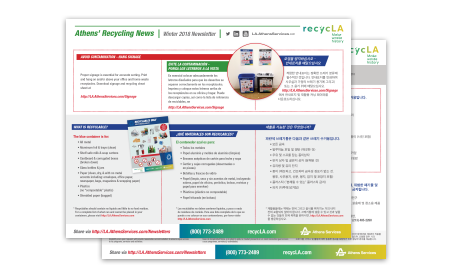 View, download and share our quarterly Athens’ recycLA newsletter.